McCann Melbourne’s Dumb Ways to Die has won the Grand Prix in the Direct Lions category and three Gold Lions in all of the Direct Lions categories it was shortlisted. The agency also won two Bronze Lions for its Guilt Trips campaign for V/Line and another Bronze in Promo, while Impossible Orchestra for the federal government’s Care Aware initiative won Bronze in PR. 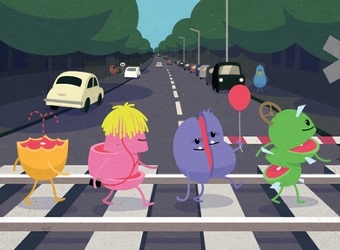 Dumb Ways to Die was listed in the Best Integrated Campaign led by Direct Marketing, Social media and Viral Marketing, and Public Health and Safety Awareness Categories. “When you’re trying to achieve behavioural change in a world of blunt instruments, it’s far more effective to bring people along than hit them with your message. Rather than repel young people who didn’t want to hear a message about train safety, Dumb Ways to Die spoke to them in their language and made it socially acceptable to discuss something as ‘boring’ as being safe around trains,” he says. Leo Burnett Sydney’s Small World Machines campaign for Coca-Cola was also awarded two Gold Lions and a Bronze Lion in the categories of large scale Ambient Media, Best Integrated Campaign and Other Digital Platforms led by Direct Marketing.